UBS and Morgan Stanley have added private placement Opportunity Zone funds to their roster of investment products available to clients. Bank of America’s Global Wealth & Investment Management unit, Wells Fargo Advisors and its parent bank’s ultra-high-net-worth advisory concern, Abbot Downing, are all preparing to add such funds. “We are just getting ready to launch our first Opportunity Zone fund,” says Anna Snider, who leads due diligence for the Chief Investment Office at Bank of America’s Global Wealth & Investment Management unit. “We have been evaluating numerous third-party funds and expect to present one to our investment committee in the near future,” says Nina Streeter, director of asset management in Abbot Downing’s Boston office. A WFA spokesperson said her team “shared we are in the process of vetting” such funds. UBS’s two already-available Opportunity Zone funds each have steep investment minimums — $250,000 for one and $1 million for the other. “The Opportunity Zones and the announcements about them have definitely sparked an interest among clients,” says Todd Perry, a financial advisor with the Perry/Molin Group of UBS in New York. Opportunity Zone funds became an option because of the passage of the Tax Cuts and Jobs Act of 2017. With that legislation, Congress identified capital gains tax relief as a way to induce investment into long-neglected U.S. neighborhoods. Ultimately, the U.S. Treasury approved some 8,700 census tracts, located in all 50 states, as economically disadvantaged enough to be eligible for Opportunity Zone investments. With the program, investors may be able to defer capital gains taxes — and even avoid some entirely — if they use recently-realized capital gains to buy stakes for the long haul in the designated communities. To achieve the maximum tax benefits, the investors are required to make a 10-year commitment and to receive maximum tax-sheltering benefits, investors must purchase their stakes by a December 2019 deadline. The majority of Opportunity Zone investing so far has been in real estate, even though Congress intended the law to also trigger investment in operating businesses. Initially, when the new government program became effective in January 2018, the wirehouses didn’t jump immediately to put Opportunity Zone funds on their investor platforms. They delayed because of both the novelty of the program and the many unanswered questions — some of which are still pending — about its specific regulations. Congress, with passage of the tax act, set the broad outlines for the program but the U.S. Treasury, which has responsibility for drafting the fine print of its rules, delayed releasing some of the proposed regulations until October. And the Treasury is still scheduled to propose more of those regulations this year. “We didn’t feel pressure to be a first mover in this space,” says Bank of America’s Snider. “You don’t launch an investment strategy because of regulatory pressure,” she adds. At the same time, Bank of America managers heard from financial advisors about intense client interest. “There is a lot of demand and we want to be responsive,” says Snider. The Opportunity Zone sets a presumptive investment timetable since its tax benefits expire on a staggered basis. Investors can achieve maximum tax savings only if they purchase their Opportunity Zone stakes by December 31, 2019. “We are aware of the deadlines. Our advisors have made us very aware of the deadlines, but we didn’t feel like rushing into this,” Snider says. UBS has been “in front” of helping clients educate themselves about the Opportunity Zone funds and in vetting funds, says Perry. But the Opportunity Zone funds are not for every investor, Perry stresses. The funds have limited appeal because of their illiquidity — it takes a certain amount of wealth to commit to an investment for 10 years. Investors should evaluate how such assets fit into their overall strategies and portfolios, Perry says. But the funds may be an option for many investors who have recently realized a capital gain by selling a business or other real estate. “We have had a number of conversations with clients where it makes sense to initiate these discussions,” Perry says. 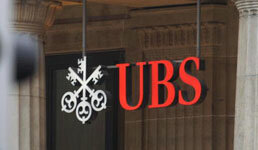 Among his interested clients is an investor who recently sold a business and meets the $50 million in assets qualification for participants set by the managers of one of the funds UBS has made available, Perry says. Neil Faden, a law partner in New York at Manatt, Phelps & Phillips, who has helped organize several Opportunity Zone funds, expresses little surprise that the wirehouses waited until now to offer these products. “Last year, the fund managers thought it wasn’t ready for prime time yet,” Faden says about the Opportunity Zone program. But that has changed recently, as the Treasury releases more of the proposed regulations and investors gain greater understanding. Wells Fargo Advisors, Abbot Downing, UBS and Merrill Lynch have all issued reports for investors to help educate them about Opportunity Zones. The usual concerns apply for financial advisors about the suitability of these investments and the availability and comprehensiveness of funds’ disclosures, Faden warns. That’s particularly true given the trickiness of some of requirements to maintain eligibility for the tax exemptions — including a rule that investors must put their initial capital gains into the Opportunity Zone funds within a 180-day window after realizing them. Also significant is the end of the road for tax-payment deferrals on the initial capital gains invested: that deadline falls on April 15, 2027. “An investor needs to understand right from the beginning, they are going to pay those taxes for the 2026 tax year,” Faden says. But perhaps most significantly, if Opportunity Zone fund managers don’t select projects that appreciate, the prospect of investor losses represents a double disappointment: no returns and no need for tax sheltering. “Does the investment itself as a stand-alone project make sense?” Perry says that’s the chief question for investors perusing Opportunity Zone funds to ask.